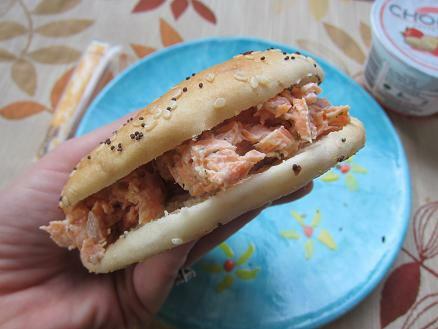 Today’s lunch hit the spot! I always look forward to eating lunch, but some days I feel overly excited to dig into my lunch bag! 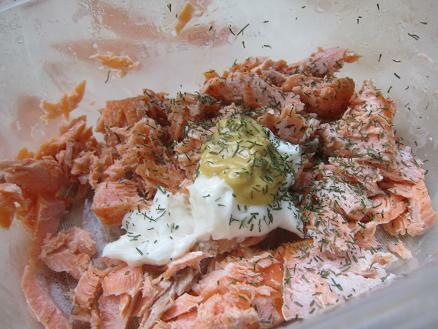 I used leftover trout from last night’s dinner to make a trout salad by combining light Miracle Whip, honey mustard and dill. 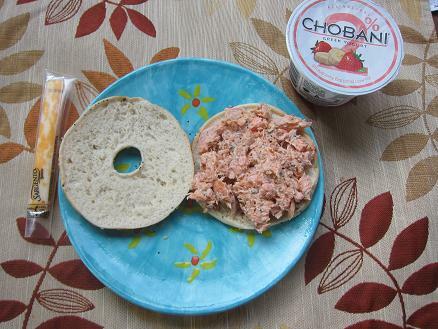 I then spread the trout salad on an everything bagelthin and served it up with a side of Chobani strawberry banana Greek yogurt and a stick of Colby jack cheese. 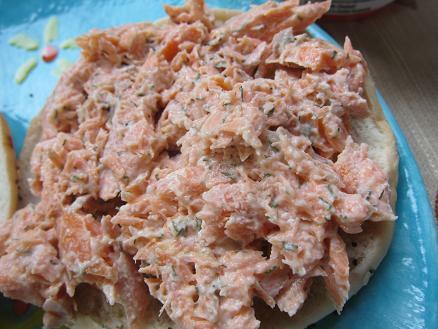 The saltiness from the trout bagelwich was perfectly offset by the creamy Greek yogurt. Earlier today Heather tweeted to me about the Baby-sitter’s Club, saying my hair reminded her of Dawn, one of the main characters in the popular books who had blonde hair. I laughed because when I was younger, my friends and I made our own babysitter’s club, with each of us assigned to one of the characters. Truth be told, I didn’t want to be Dawn. I wanted to be Kristy, the tomboy. When I was in elementary school, I was basically a boy. I wore “Shoot like a Girl” t-shirts, Umbros, baggy sweatshirts and sneakers. My hair was always in a pony tail. Were you a tomboy or a girly girl growing up? Did you ever go through a tomboy phase? Was there a Baby-sitter’s Club character you most admired? I used to LOVE Babysitters Club! I read all the books, and when the movie came out my friends and I went crazy! I was always Dawn too! I’m not going to lie to you, if the movie was on tv right now I’d drop everything to watch it!